Jacob Elordi may have just become a teen heartthrob thanks to his starring role in The Kissing Booth and his budding romance with co-star Joey King, but he is also taking over Hollywood with his talent. Find out Jacob's age, height and everything else about him here. 1. How old is Jacob Elordi? Jacob Elordi was born on June 26th in 1997. He is 20 years old. 2. What is Jacob Elordi's star sign? Jacob Elordi is a late June baby so that makes him a Cancer. 4. How tall is Jacob Elordi? Jacob Elordi is six feet and three inches tall which is 1.9 in metres. 5. Jacob Elordi plays Noah Flynn in The Kissing Booth. Jacob Elordi is best known for his breakthrough role as Noah Flynn who is the romantic lead in Netflix's hottest new teen drama The Kissing Booth. 6. Does Jacob Elordi have a girlfriend? 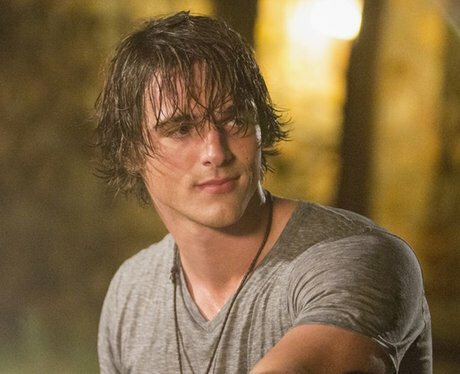 Jacob Elordi fell in love with Joey King while filming The Kissing Booth. Joey played his on screen love interest, Elle Evans, and the two have been together ever since. Our hearts. 7. Jacob Elordi is a budding young activist. Jacob Elordi may not be from the US but he is not afraid to get involved in important activism. Both he and Joey King took part in the March for Our Lives protest and brought some powerful signs along with them. 9. Does Jacob Elordi use social media? Jacob Elordi has a Twitter account (@JacobElordi) however he has never tweeted from it. He started using Instagram in April 2017 (@jacobelordi) and has since amassed over 1.3 million followers. 10. Jacob Elordi is a huge fan of Heath Ledger. Anyone who stans Jacob will know that he loves Heath Ledger. The teen heartthrob regularly references the acting legend in interviews. 12. Jacob Elordi is a talented photographer. Watch out Cole Sprouse, Jacob Elordi is in town. Not content with just being an amazing actor, Jacob is also an incredible photographer. Check out his Instagram (@jacobelordi) to see his work. 13. Jacob Elordi started acting professionaly by playing the Cat in the Hat in Seussical. Not only can Jacob Elordi act but he can also sing. The rising star got his big break as the Cat in the Hat in a production of Seussical. Jacob Elordi landed his first Hollywood role in The Pirates of the Carribean: Dead Men Tell No Tales. He is uncredited but easy to spot. 15. Jacob Elordi stars alongside Kylie Minogue in Swinging Safari. A critically acclaimed comedy drama featuring Kylie Minogue, Guy Pearce and Jacob Elordi? Count us in. 16. What is Jacob Elordi's net worth? Jacob Elordi's net worth is estimated to be $500,000. Although now that he has catapulted into fame thanks to The Kissing Booth we expect that to increase very soon.